16 foot nitrous oxide main feedline from the trunk to the engine. Comes with blue fittings as shown. 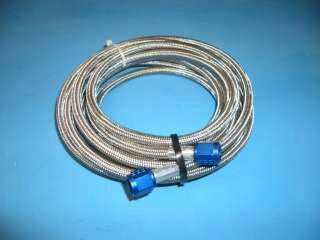 Full braided stainless cover with teflon internal line. 6AN fittings for typical street nitrous kits.